My name is Nancy Bell, founder of the volunteer run nonprofit organization Mayor Potencial that works to serve those in need in Honduras. 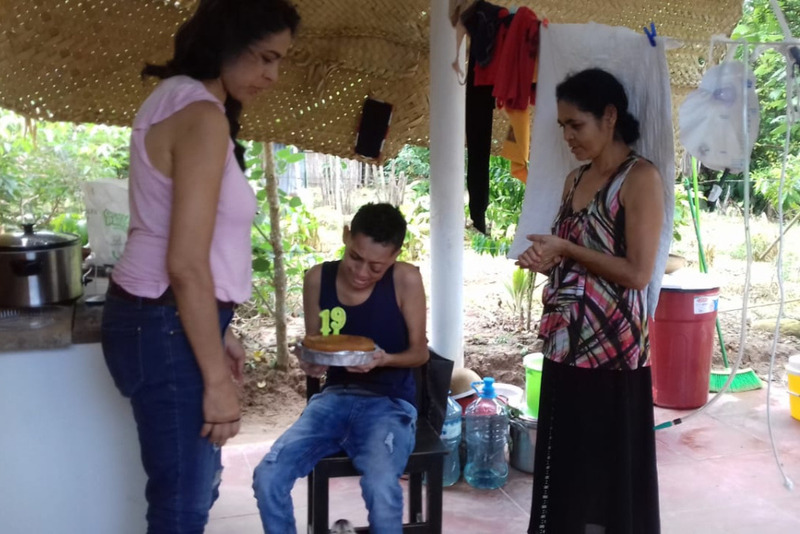 I am writing because our dear friend Arnol Isaac Hernandez Valle has traveled from rural El Rodeito, Honduras to Tarapoto, Peru to receive treatment for cancer, and he needs your help! 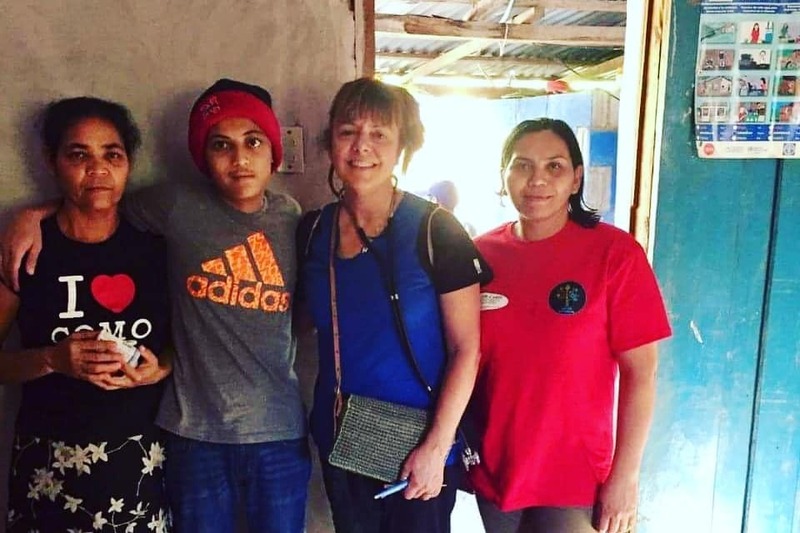 Arnol and his mother wish to stay in Peru for two months of treatment with the hope that the cancer will stop spreading to his brain. Arnol’s cancer treatments cost $165 per visit, and $1,155 per month. They currently don’t have enough funding to stay in Peru for longer than two weeks. We are fundraising to cover the cost of their stay in Peru. 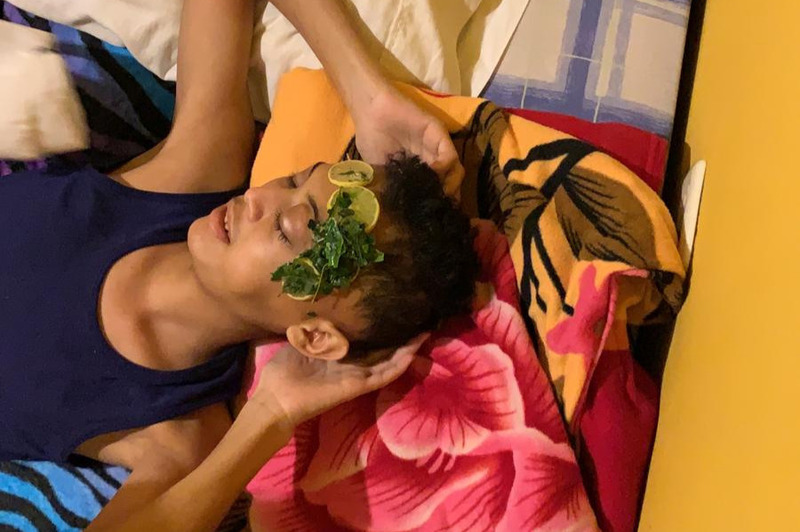 At age 18, Arnol was diagnosed with a rare cancer, fusiform cell sarcoma, for the second time on November 20, 2018. The first time he was diagnosed, Arnol was 14 years old. 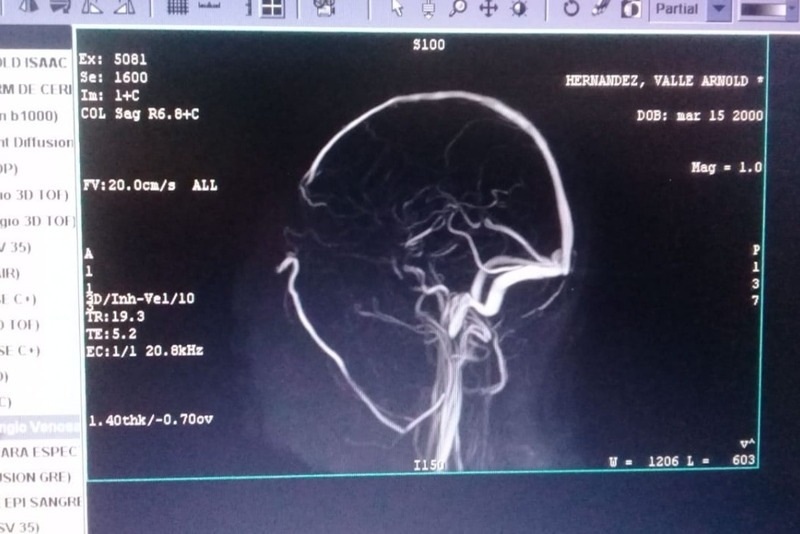 After suffering from severe headaches, Arnol was rushed to a hospital in Tegucigalpa after a long five-hour bus ride from rural El Rodeito. At the hospital, it was discovered that Arnol had a cyst in his head. To prevent the spread of the cancer, he was provided chemo and radiation therapy and later underwent surgery to remove part of the tumor. 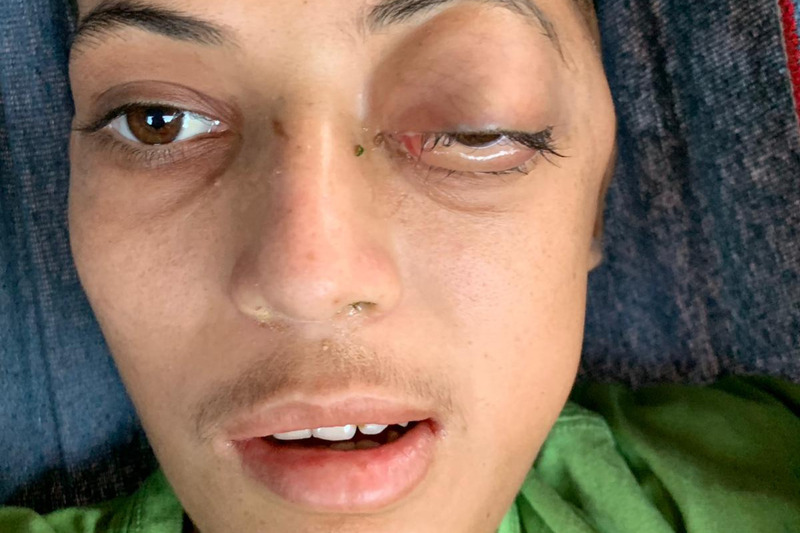 Arnol lost function in one eye as a result of the surgery. Arnol’s cancer went into remission and he was doing well. He gained weight, built a chicken coop with the help of a sponsor, and started a small chicken business to help support his family. He dreamed of going back to school, once a high school was built in his beloved home town. After the recent second diagnosis, Arnol’s doctors did not offer him any treatment. Instead, they gave him a prescription for pain medication and sent him home. 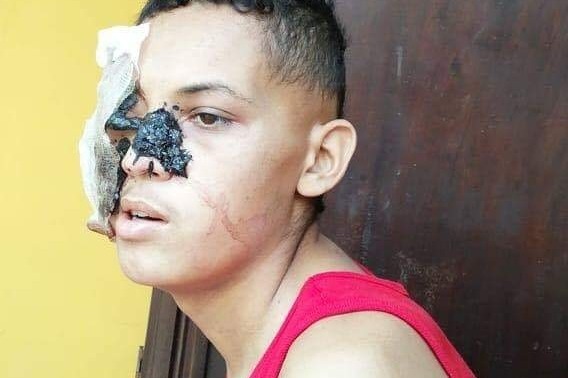 Currently, the cancer has spread from his head into his nose, ear, and brain. 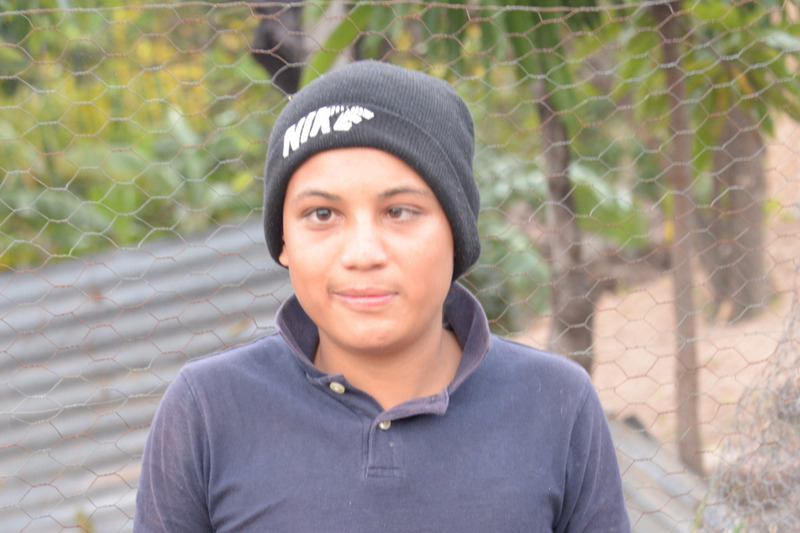 Although he is unable to receive treatment in Honduras, Arnol and his family have not given up hope! 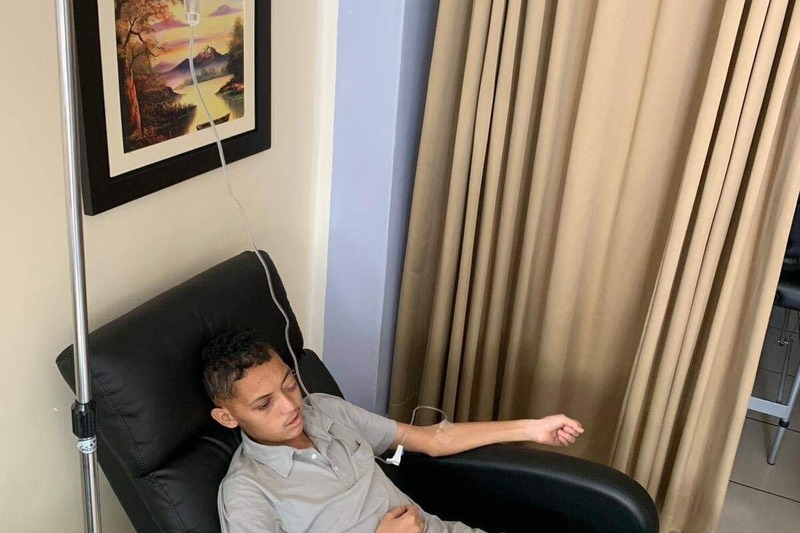 With sponsorship from anonymous donors, he has traveled to Peru with his mother and one of Mayor Potencial’s volunteers, where he is getting ozone and vitamin C treatments at the clinic in Tarapoto. 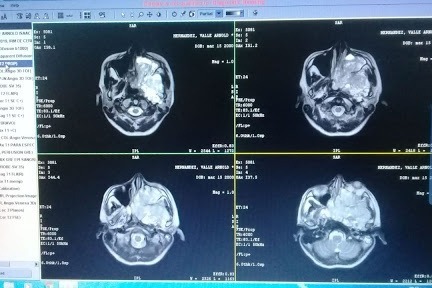 His family hopes this will at least stop the advance of the cancer in his brain. Arnol’s treatment costs approximately $1200/month, and his holistic care provider that is working with him costs an additional $1500/month. For Arnol and his mother, the stay in Peru costs them $680/month (Rent costs $150, food $300, transportation $200, and internet/phone cost $30). If Arnol is to stay in Peru for the next two months, we need to reach our goal. Sadly, Arnol’s cancer is terminal and continues to grow. Volunteers at Mayor Potencial are continuously applying to other hospitals to find conventional treatment for his rapidly progressing cancer. Due to the size of the tumor, no one wants to take a chance on Arnol. He and his family appreciate any support they can receive. Photo taken during the medical brigade in Feb. 2019. Mayor Potencial and Cape Cares partnered together for this medical brigade and they stopped by to see Arnol and provide some medications such a nasal spray for congestion. The GoFundMe platform is free. However they charge a transaction fee of 2.9% plus $0.30 per donation that allows for credit card processing. Thank you for joining us in this fight against cancer! Thanks to our donors, our friend Arnol was able to afford to complete MRI scans to fully analyze his condition. The MRI scans were a requirement for the hospital applications we were completing. Arnol has begun his vitamin C and ozone therapy to treat his illness. He also receives acupuncture and medicinal herbs for the pain. Arnol reports to feel much better after receiving the treatments. Though the vitamin C and ozone treatments are helping Arnol regain his strength, he can no longer breathe through his nose due to the growing tumor. He has also been fighting an infection in his nasal passages and he has lost his appetite. The lack of appetite has impacted his health as he struggles to swallow solids. Arnol celebrated his belated 19th birthday. This small birthday celebration brought a lot of joy to Arnol. Unfortunately, Mayor Potencial’s volunteer had to return back to Honduras, so now only Amelia and Arnol are in Peru. Thanks to our donors we were able to get Arnol a juicer. With the juicer he is able to get the nutrients he needs from fruits and vegetables. He is still struggling to swallow and doesn’t have an appetite but Amelia is helping him eat and keeping him motivated. Arnol’s pain has increased. His headaches have become unbearable. His eye inflammation has expanded. His eye tears up alot and he is not able to close it when sleeping anymore. He continues to eat but his appetite is completely gone. The juicer seems to help. Due to the loss of appetite he lost a lot of weight, and is not able to walk without support. He says he feels better right after the vitamin C and ozone treatments. We continue to apply to hospitals but given Arnol’s condition we have been unable to find a hospital willing to take him on. The MP team in honduras is looking for any clinic that could provide similar holistic treatment. 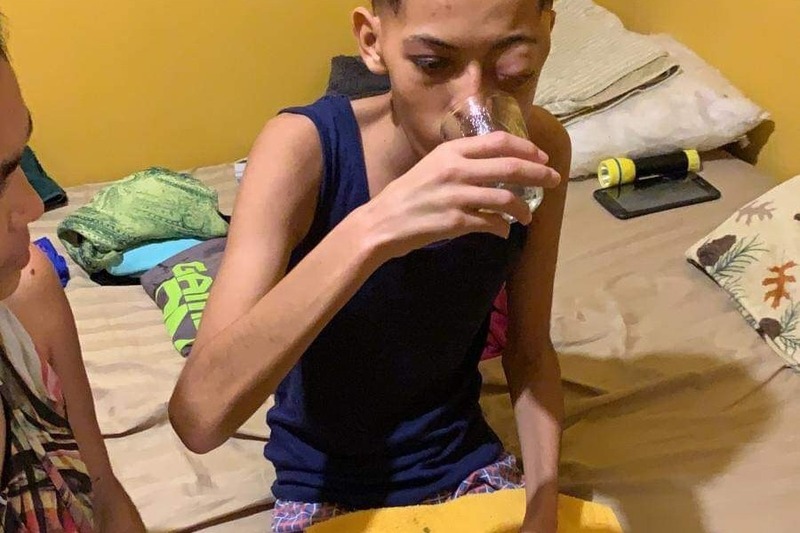 If Arnol and his mother return to Honduras, it will be very difficult to find treatment, but staying in Peru is difficult. Arnol is trying to stay positive as he and his mother decide on what to do next. This is Amelia, Arnol’s mom. She stands by his side as he completes several more major ozone therapy treatments. These are much stronger treatments than normal for Arnol. 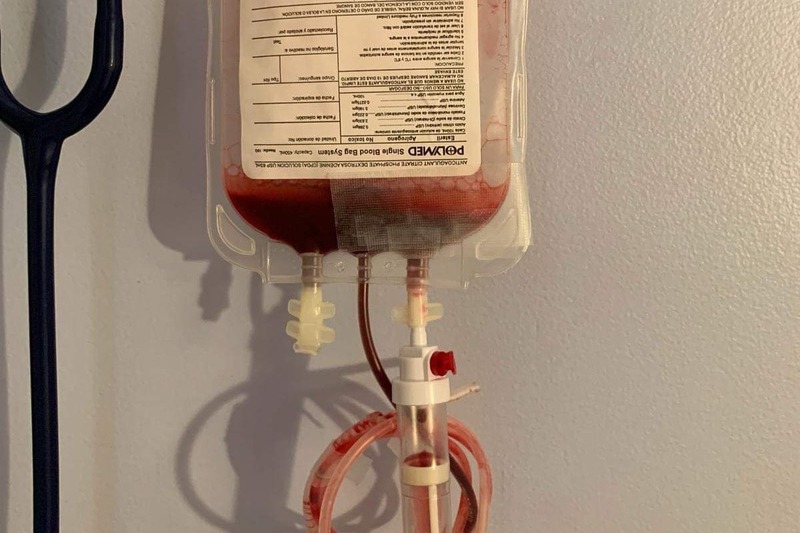 The ozone is seen here in the bag with the blood. It is done this way when it’s a major therapy. Ozone and Vit. C treatments. Now in Peru, Arnol is receiving holistic care which consists of Vitamin C treatments and Ozone treatments. He also receives acupuncture and medicinal herbs for the pain. Arnol reports to feel much better right after receiving the treatments. He feels a rush of energy and the acupuncture helps him relax and reduces his pain. 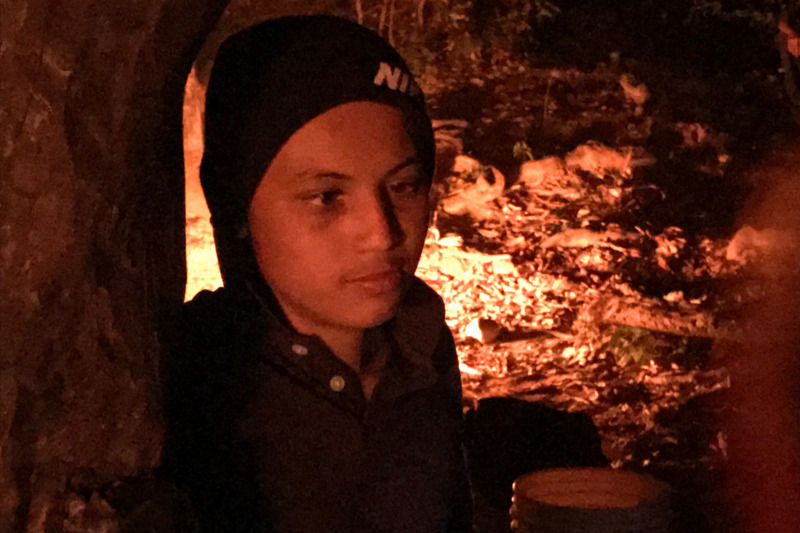 In Honduras Arnol was taking Morphine, but once he arrived in Peru, he stopped using them so his body could detox from the chemicals. Consequently, Arnol is now in extreme pain. Thanks to our donors Arnol was able to purchase a hammock. This is something small but it has brought a lot of joy into his life, and it reminds him of his beloved hometown of El Rodeito. Additionally, all medical records for Arnol had to be translated to English to be reviewed by hospitals outside of Honduras. Thanks to our amazing donors we were able to do that and we can continue our work for Arnol. Thank you for your continued support!! 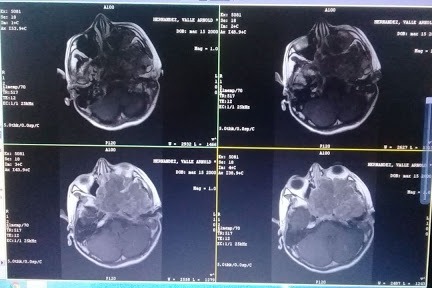 Arnol had to be sedated in order to get these MRI scans completed. He struggled to breath while laying down, and was unable to stay still long enough to get the scan. Due to this, his MRI scan was rescheduled for another day in which sedation was used. The MRI’s scans were a requirement for the hospital applications we were completing. Thanks to our donors we were able to pay for these exams for Arnol.